There is peace and healing unto those who love the Lord, but it is not so for the wicked for they are always in constant derision! (Isaiah 57:19-21). 19 I create the fruit of the lips; Peace, peace to him that is far off, and to him that is near, saith the Lord; and I will heal him.20 But the wicked are like the troubled sea, when it cannot rest, whose waters cast up mire and dirt.21 There is no peace, saith my God, to the wicked. It is not good to take company with the wicked nor accept their way, for the righteous judgment a christian stands for is then overthrown (Proverbs 18:3-5). 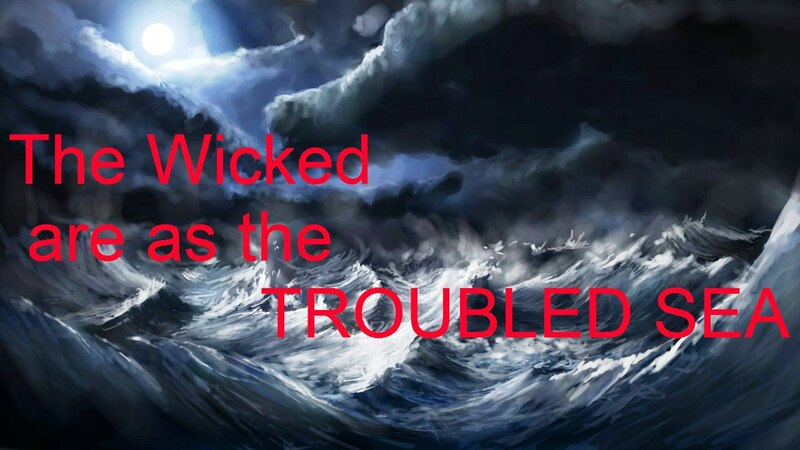 3 When the wicked cometh, then cometh also contempt, and with ignominy reproach.4 The words of a man’s mouth are as deep waters, and the wellspring of wisdom as a flowing brook.5 It is not good to accept the person of the wicked, to overthrow the righteous in judgment. We have all seen how good goes with good, but to those who follow after wickedness do not realize they are pursuing unto their own death (Proverbs 11:17-21). 17 The merciful man doeth good to his own soul: but he that is cruel troubleth his own flesh.18 The wicked worketh a deceitful work: but to him that soweth righteousness shall be a sure reward.19 As righteousness tendeth to life: so he that pursueth evil pursueth it to his own death.20 They that are of a froward heart are abomination to the Lord: but such as are upright in their way are his delight.21 Though hand join in hand, the wicked shall not be unpunished: but the seed of the righteous shall be delivered. ← We LOVE Thy LAW+, O GOD !